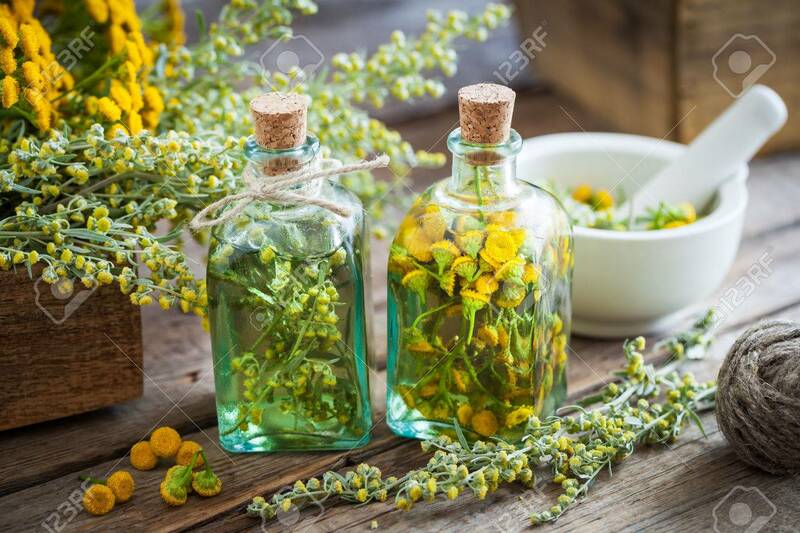 Tincture Bottles Of Tansy And Tarragon Healthy Herbs, Absinthe.. Stock Photo, Picture And Royalty Free Image. Image 61088946. Stock Photo - Tincture bottles of tansy and tarragon healthy herbs, absinthe healing herbs in wooden box and in mortar. Herbal medicine. Tincture bottles of tansy and tarragon healthy herbs, absinthe healing herbs in wooden box and in mortar. Herbal medicine.